We want to invite you to get in the game with the Arkansas Registry of Interpreters for the Deaf at our 2017 biennial conference, “Interpreting: It’s a Team Sport.” Our conference will be June 9-10, 2017, with a pre-conference June 8. Pre-conference and conference workshops will focus on three main topics: medical interpreting, teaming, and ethics. We have a stellar line up of workshop presenters prepared to lead us to the conference championship. 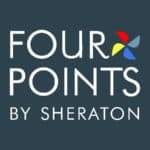 Four Points by Sheraton in Bentonville, Arkansas will be our host hotel and will have special group pricing available! There will be a tailgate party on Thursday night, half-time show awards banquet on Friday night, and business luncheon Saturday. Between the presenters, workshops, and socializing and networking opportunities, we believe this conference will be a home run. We can’t wait to see you at the game!